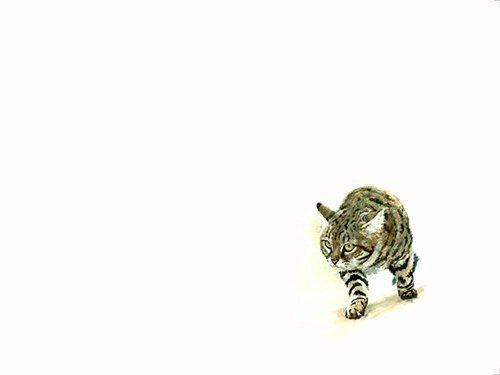 Art Print of a Blackfooted Cat. This is the smallest of South Africa’s cats, a tiny bundle of fury. They are seriously endangered. 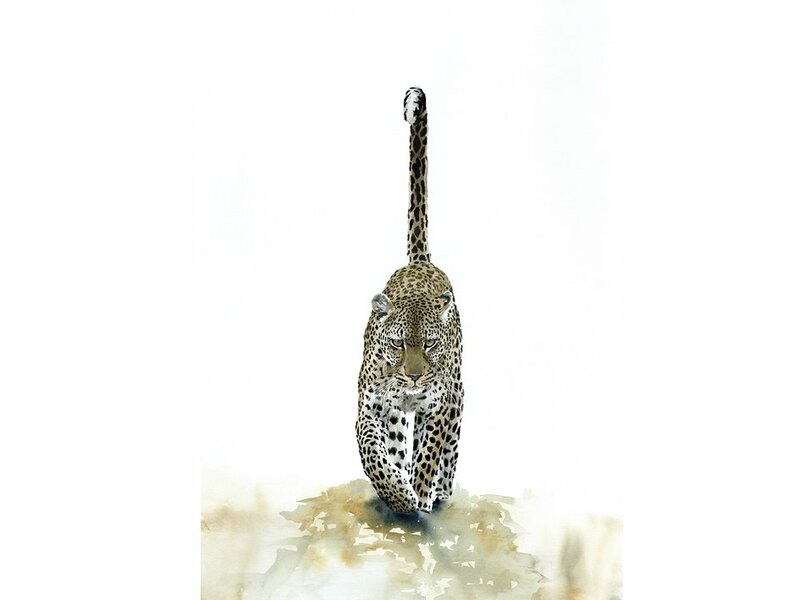 This painting was exhibited in London at the Wildlife Artist of the Year exhibition. 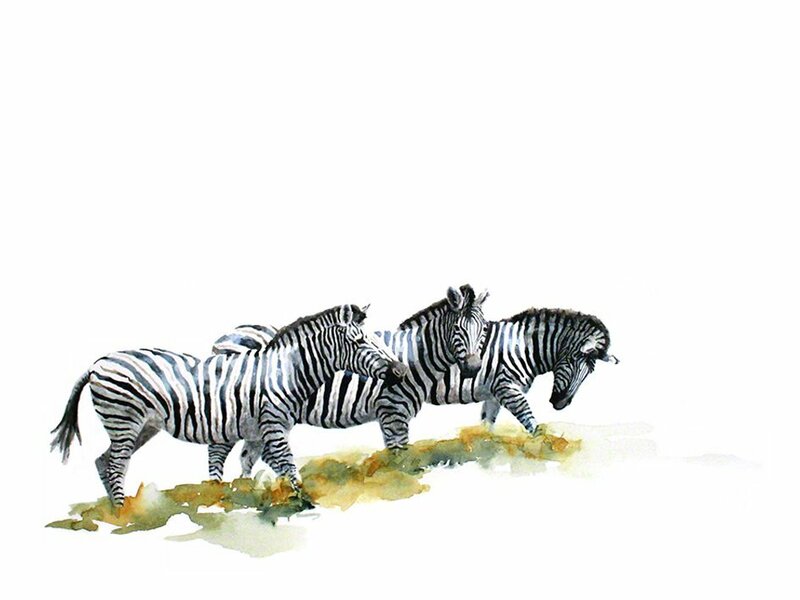 Purchased by a resident of the United Kingdom, the original watercolour painting of this limited edition print now lives in England. Blackfooted cats or Black Footed Cats are found exclusively in the Northern Cape and Kalahari Desert. Adapted to this unique terrain, they are, however very difficult to see. They hunt at night, preferring to stay hidden during the day. Sadly, their numbers are diminished almost to the point of extinction. Although resembling a house cat, they are absolutely fierce little creatures. Because of this, they are also very shy and photos and sighting of them is very unusual. Bucket lists for wild cat lovers include this very special little cat. Whilst there is a dearth of information about them, their endangered status is undeniable. Taming of the shrew makes this tiny cat look tame. Because of their fierce nature, they can also hunt well. 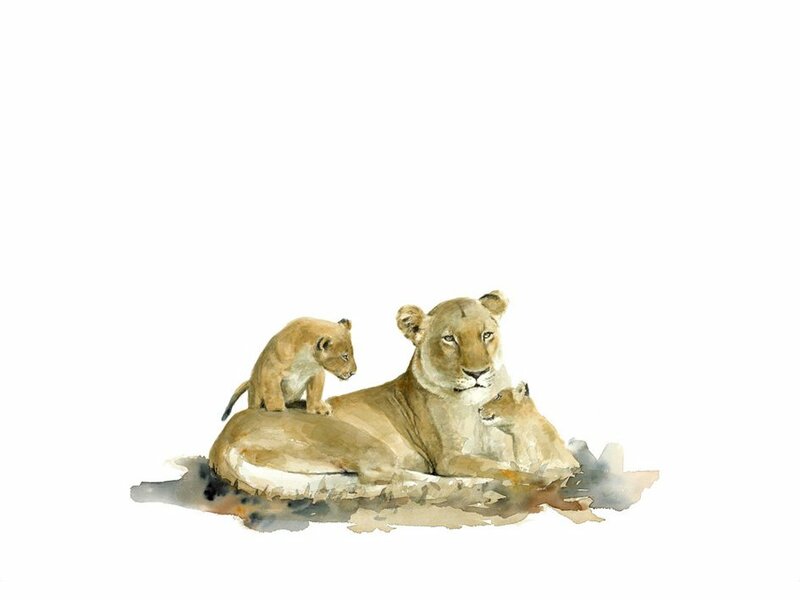 Sue Dickinson loves to paint all cats, whilst house cats are not her favourite subject. 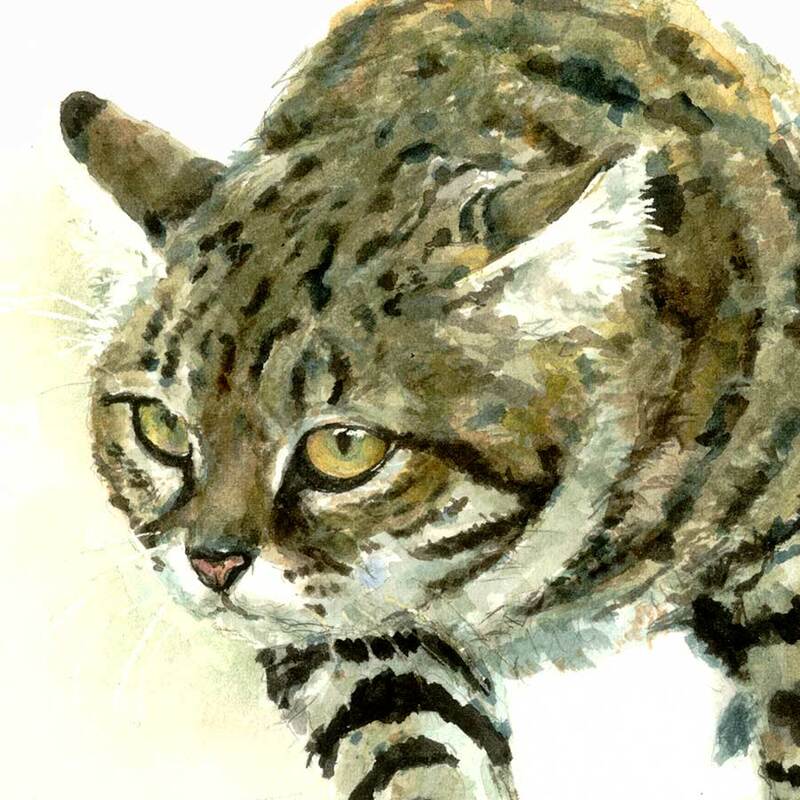 Adaptable and skittish, the blackfooted cat is a master of disguise and, for this reason, takes the cake for unknown habits.